This afternoon, my kitchen was a mess from lunch with friends, and I just left it that way. Now it’s dinner time, and I should be fixing something with protein in it, but instead I decided I wanted to make a banana cream pie. I’m a terribly impractical cook. Now I’ve never made a banana cream pie, but I know where to look – on the obscure health food website, of course. I have more coconut products around than the average Midwestern folk so I found a recipe and decided to make the most of the tropical flavoring and healthful qualities. NOTE TO THE CULINARILY CAUTIOUS: Be assured that any recipe I post ranges from not-hard to so-easy-I-can-do-it-while-I’m eating-it. 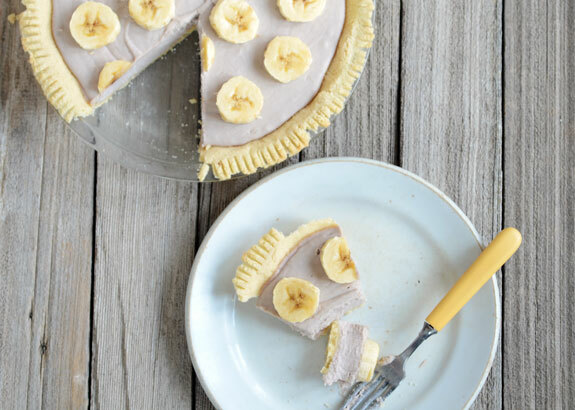 So here’s my pretty-easy, almost-healthy version of an old favorite, affectionately nicknamed “There’s Always Money in the Banana Stand Cream Pie”, complete with snarky commentary in italics. 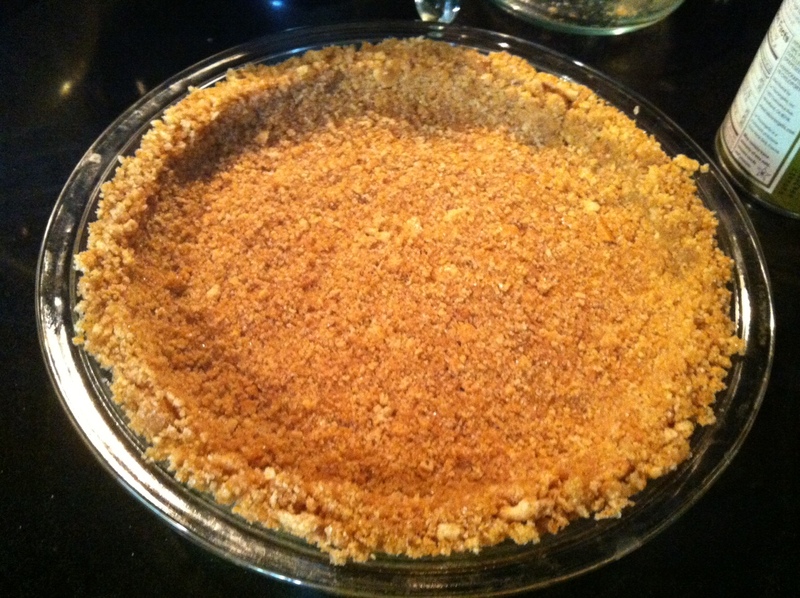 Graham Cracker Crust (from scratch). Or just buy one at the store. I would’ve done that, but I didn’t think of it when I was there earlier today, and again, I love immediate gratification so I was not about to go back. Pour crumb and sugar mix into a medium bowl. Add the melted butter and stir up good. Smoosh into a pie pan so that it looks like a pie crust. I don’t really know how to describe it better than that. I put mine in the oven for 10 minutes at 350 degrees. I have no idea if you’re supposed to do that, but I think I remember that being a part of previous pie recipe I’ve seen before. 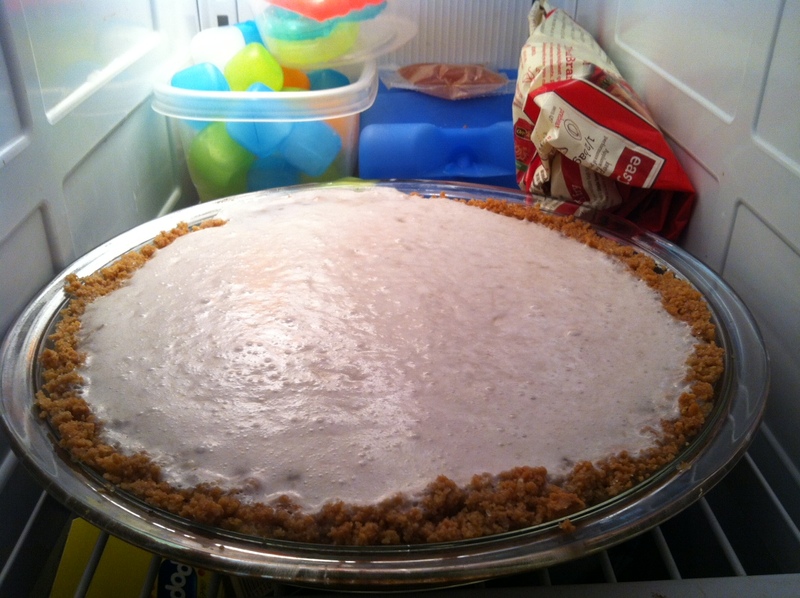 Banana Cream Pie, courtesy of Elana’s Pantry. And here’s what it should look like, if you shoot stock photos for a living. And here is mine, speed-cooling in the freezer, next to the teething rings and tator tots. I’m one classy lady. You might notice they don’t look alike, but I’m not on Pinterest so I pretty much have no stress or peer pressure in my life. So you can judge me, but I won’t be able to read it. Unless you leave a comment. Meh. Yum! I am definitely making that… Soon!